Last week I mentioned that rainwater can become art. Usually this takes the form of green stormwater infrastructure such as rain gardens, bioswales, green roofs, green walls, pervious pavers, porous pavement, street trees, stormwater tree trenches, curb cuts, curb bump outs… should I go on? The idea is to let the rain water slow down long enough to soak into the ground (or the vegetation on your green roof). Once water is in the ground it is put back into the natural water cycle and enhances the natural ecosystem so that the built environment has less of a negative impact on our waterways and natural habitats. As an urban planning student with one year of study under my belt I have to admit that a city is the most efficient way for our modern society to live, but there are ways to break down the perceived barrier between our built environment and natural environment especially when it comes to the urban water cycle. Some green stormwater infrastructure ideas like rain barrels and cisterns actually harvest the rain to be used for irrigation or non-potable uses. 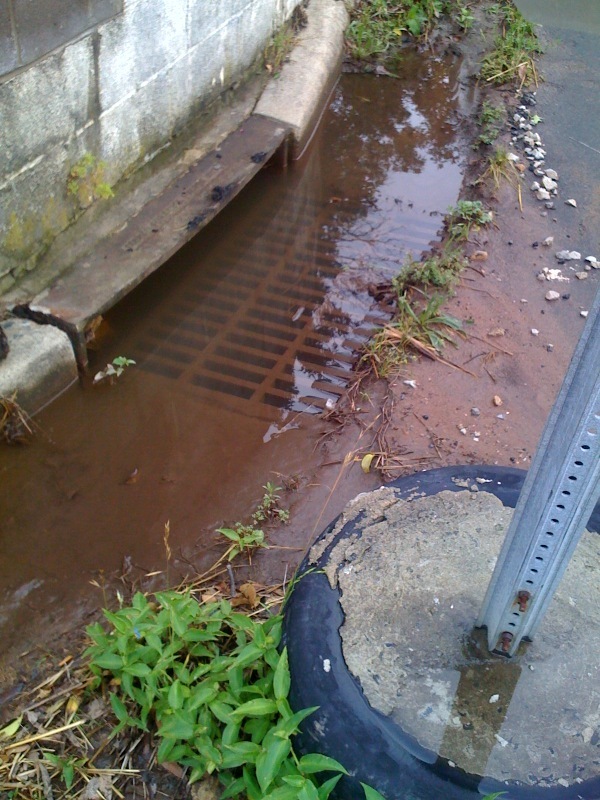 This water doesn’t always get back into the water cycle but it still reduces the amount of water that goes straight into the city’s sewer system and decreases pollution in our water ways and erosion of our stream banks. Water really is a resource and we need to remember that and use it wisely whether it comes out of the sky or out of our water faucet. One of the things most of these green stormwater concepts have in common is that they keep the water visible. Instead of immediately piping the water away from our view like traditional sewer systems, green stormwater infrastructure lets water trickle and settle and infiltrate. This creates great opportunity for education also. By seeing the water cycle in action we become connected to it and develop a water ethic and respect for this scarce resource. Some people get really creative! Besides, would you rather see more of this... or this? Where is the picture on the right? 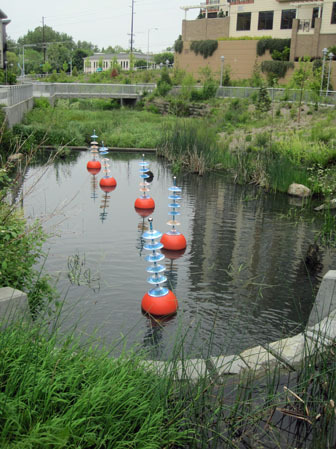 It'd be great if more cities built green stormwater infrastructure; how common is it in the US? The picture on the right is actually in Seattle. The west coast is pretty far ahead of us in general but Philadelphia is the first city to launch a comprehensive green stormwater infrastructure policy and plan. It's not just green streets (Portland, OR) or just rain gardens (Kansas City). It is everything! Thanks for your support!